Hunter's Tree Service is a family owned and operated tree care company providing tree trimming and tree pruning services in the Pierce County, WA area. 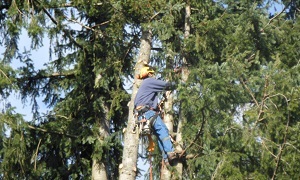 We are committed to delivering high quality yet affordable tree trimming and pruning services to Pierce County residents. We have a team of ISA certified arborists with many years of experience working with different types of trees. Our tree pruning services in Pierce County include the removal of diseased, dying, or dead branches on both mature and young trees. The removal of some live branches may also be necessary to increase sunlight exposure and to improve air circulation within the branches. Pruning young trees is needed for structural enhancement, as it helps to give desirable branch architecture and structural integrity to new trees. 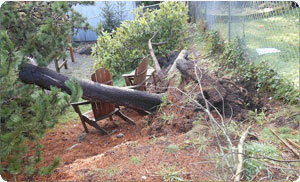 Why Choose Us When You Need Tree Pruning in Pierce County? We are a fully insured provider of tree trimming and pruning services for Pierce County residential and commercial clients. We have been providing exceptional tree trimming and pruning services since 1986. Our team is highly skilled and experienced and consistently delivers high quality results on time and within budget. We are small enough to give personalized attention to our customers and large enough to handle complex tree pruning projects. 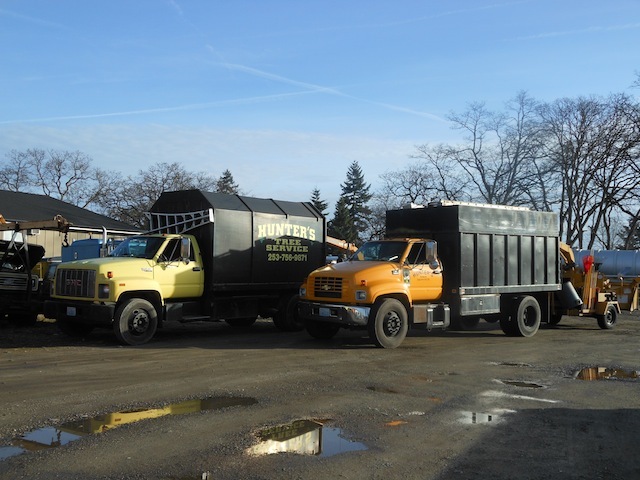 Call Hunter's Tree Service at 253-777-1938 to find out more about our tree trimming service in the Pierce County area.